If you are looking for photobooth props for your wedding or helping friends or family members who are getting married in April and later, to search for photobooth props, this promotion is definitely for you! 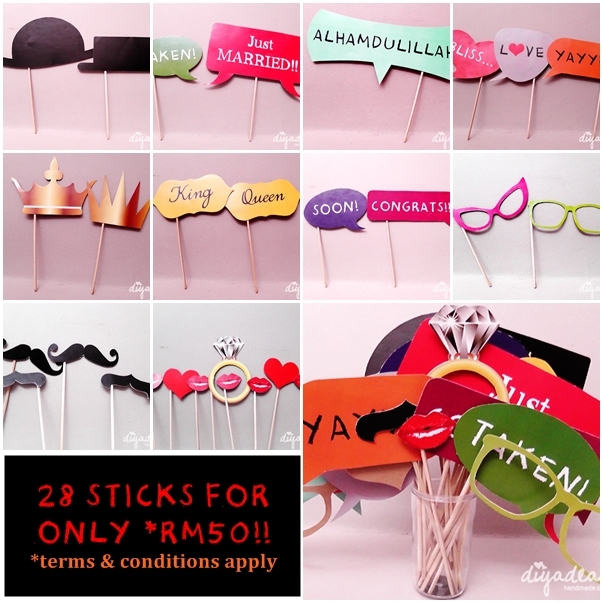 It's only RM50 for 28 sticks props!! *1 set includes of 28 sticks props; design is as it is. *Price is NOT includes the shipping & handling cost. *Valid from 4 March 2013 - 4 April 2013. *Delivery via Pos Laju starting on 1 April 2013. 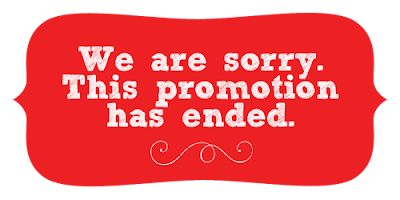 *Full payment must be made within the promotion period. *Unlimited set purchase per customer. *Diyadeary has the right to alter the terms & conditions at any time without any warning. Shot us an email - diyadeary[at]yahoo[dot]com or private message us at Facebook page to order or to ask any other inquiries!